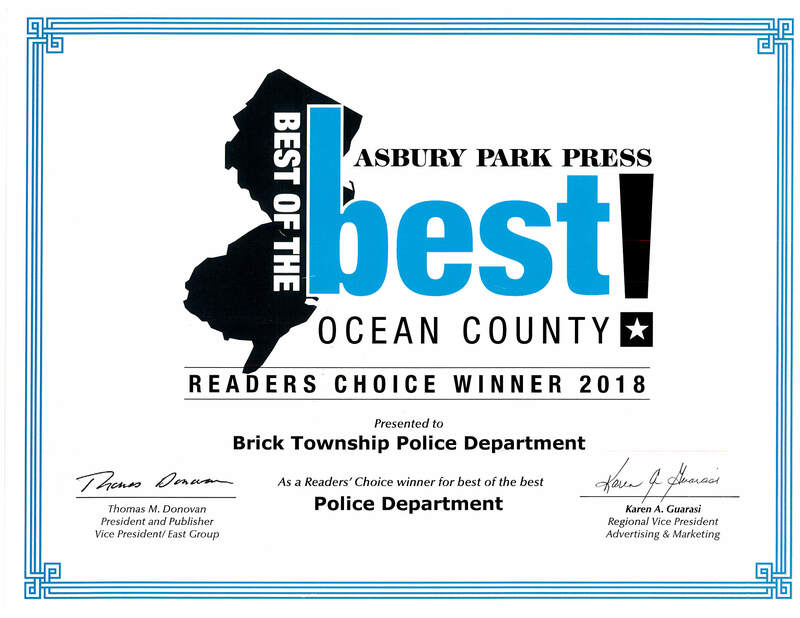 The Brick Township Police Department was recently awarded the “Best of the Best” Police Department in Ocean County for 2018. We would like to thank everyone that voted in the Asbury Park Press Reader’s Choice Awards this year. We sincerely thank you for your continued support and we will continue to provide exceptional service that you have come to expect and deserve. Thanks again! !